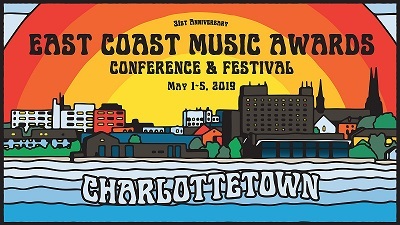 The East Coast Music Association was thrilled to announce the 2019 East Coast Award Nominees on Monday, January 28. Classified leads the pack with seven nominations, and Ben Caplan follows with six. Jeremy Dutcher earned five nominations, while Fortunate Ones, Hillsburn, Paper Lions and Neon Dreams each garner four. Cape Breton received 17 nominations, New Brunswick received 31, Newfoundland received 33, Nova Scotia received 106 and PEI received 32. BEN CAPLAN received 6 nominations for: Folk Recording, Solo Recording, Song, Songwriter, Fan's Choice Entertainer, Fan's Choice Video.